U.S. Shipping is Free for orders over $65.00! Note: The combined value of all items in your cart must be over $65 to qualify for free shipping. For example, buying one hat costing $125 would qualify your order for free shipping. Or, buying three hats at $25 each would also qualify, etc. Orders coming in at under $65 have a shipping cost of $8 per order. Free Shipping offer not valid on international orders. DelMonico Hatter has a large in-store inventory. Our objective is to ship each order as rapidly as possible. If for some reason we are not going to ship within forty-eight hours, we will contact you by telephone/e-mail to inform you of the delay. We send an e-mail confirmation when your order is received. Pre-order items have their own unique delivery times. If an item is a pre-order the delivery time will be clearly be listed on that product's page. Please note that pre-order times are subject to change. Our shipping department uses both USPS and FedEx. USPS Priority Mail is our primary service for shipping to the east coast and most Midwest states. 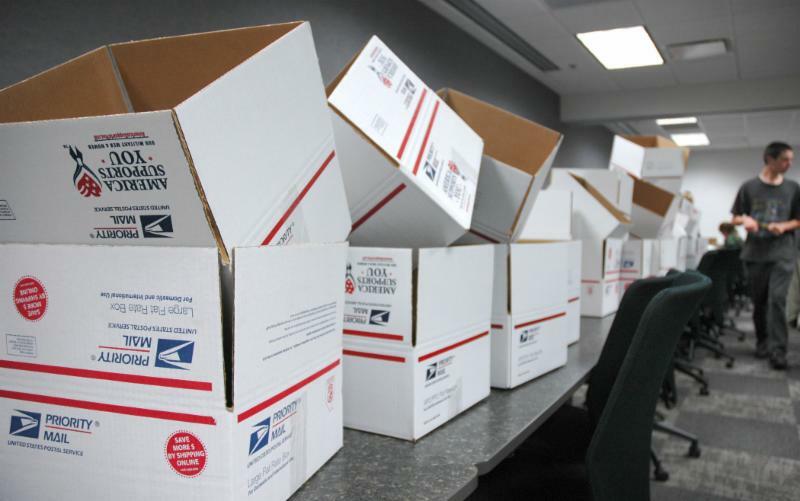 We have great success with USPS Priority Mail - packages to destinations in the continental United States are received 2 to 3 days after shipment. USPS Parcel Select is our primary service to ship to the west coast. FedEx - We use FedEx for large packages, for expedited service requested by the customer, and in certain other situations where we feel that FedEx will provide a better level of service. For orders to Alaska and Hawaii, Select "1 - Standard Shipping." The order will be shipped USPS Priority Mail. Delivery is expected in 3 to 4 days. Expedited Service - DelMonico Hatter Expedited Service: Next Day Air, 2nd Day Air, and 3rd Day, operates only on Business Days. We do not ship Expedited Service on Saturday, Sunday, or Holidays and delivery is not made on those days. Counting of days for Expedited Service starts the business day after we ship not when you order is placed. Example: if you place an order on a Wednesday at 5 PM for 3rd Day delivery, we will ship on Thursday and you will receive the package the following Tuesday. In this example Friday is the 1st day, Monday is the 2nd day and the package is delivered on Tuesday, the 3rd day. We will make every effort to fill your request for expedited service. Military Orders, APO/FPO: Select "1 - Standard Shipping." When entering your customer information, in the "State" drop down box, select your Armed Services Code - AA, AE or AP. For country, enter United States, not the country where you are stationed. International Orders: Select PayPal Payment only. You will be directed to the PayPal website. If you do not have a PayPal account, follow the provided instructions for establishing one. Buyer is responsible for paying taxes and duty on international purchases from DelMonico Hatter. Shipping and Handling Charges are summarized in the Table below. The Expedited Shipping and Handling Charges listed in the table are for the initial item in the order. Additional items in a 2nd Day, 3rd Day, Canada or an Alaska/Hawaii shipment are charged at a lower rate. The rate for additional items is based on weight and will be displayed as you enter your order. DelMonico Hatter uses both the United States Postal Service (USPS) and FedEx to ship orders. We send an e-mail to you when your package is being shipped by USPS. The e-mail is from "Hat Store" and the Subject is "Hat Order Shipped." The e-mail has two links that can be used to track the package. You can also go to the USPS website by clicking here, and enter your tracking number on the site to track your package. If you received an e-mail with FedEx Tracking information instead of USPS information, your package is being shipped by FedEx. Go to FedEx.com, and enter your FedEx tracking number to track the progress of your shipment. To be taken to the FedEx tracking site click here. Items which have been blocked long oval or otherwise altered for the customer cannot be returned or exchanged. This includes any custom hat band changes, brim cutting, or putting initials into the hat. Once a hat has been altered all sales are final. Items for which our Gift-Wrapping Service was purchased may have 30 days after date of purchase to be returned for exchange or refund instead of the usual 14. If there is a price difference in the item requested for exchange, you will be refunded the difference if the item is less expensive, or charged for the difference if the item is more expensive. Please also include a phone number you can be reached at in case there are any questions regarding your return or exchange. If you are returning for refund all or some of the hats bought, we will issue a credit card refund for the merchandise cost only. We will not issue a refund for the cost of the shipping. If you purchased enough merchandise to be eligible for a free Standard Shipping offer, you can still request a refund on all or part of your order. But if the value of the items kept drops below the amount that was required for free shipping, then the $8.00 Standard shipping charge will be deducted from the amount that you receive back to your card.